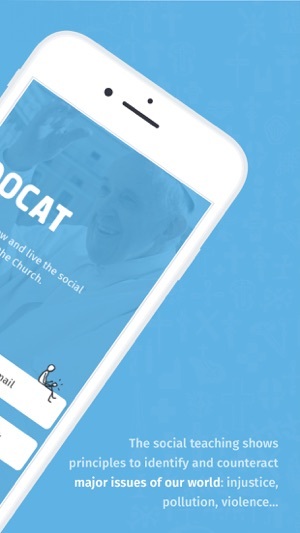 DOCAT is an expression, in language understandable by young people of the social teaching of the Church as it has been developed in important Church documents since Pope Leo XIII. 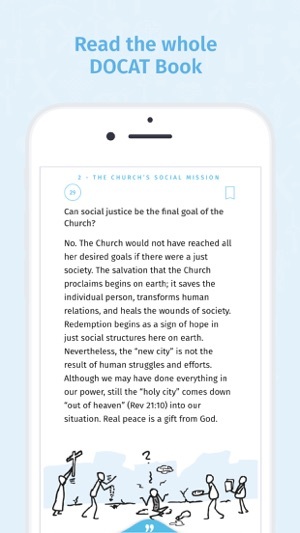 Young people especially should be inspired to read these great Church documents in full and to orient their lives by the principles of truth, justice, and love. 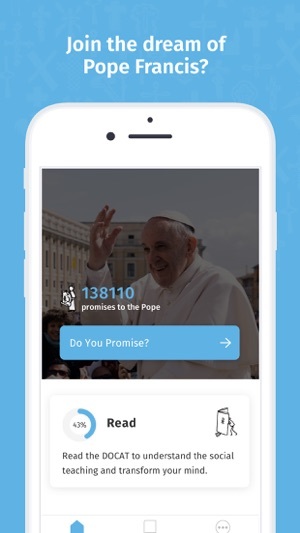 Again and again Pope Francis challenges Christians to an active engagement for a more just world. "A Christian who is not a revolutionary today is not a Christian." 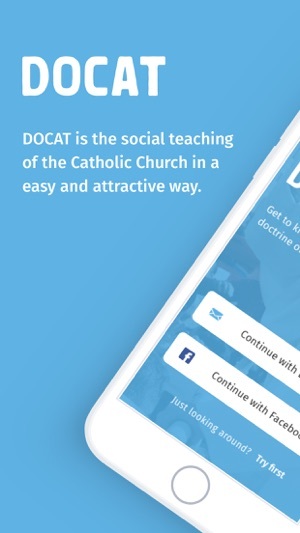 DOCAT is all about reading and understanding Catholic social doctrines and acting according to them. 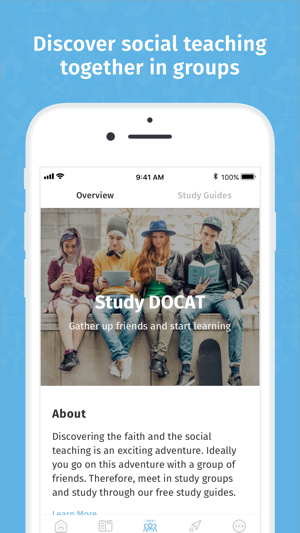 To guide you step by step in this exciting adventure of discovering faith, we’re providing free Study Guides for you, to follow it with friends in Study Groups. 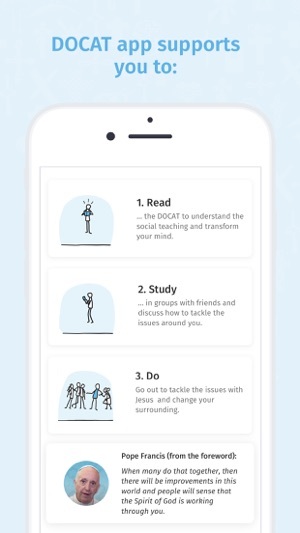 The best way to learn it, is to do it! 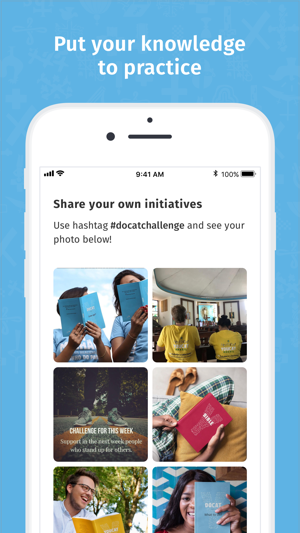 Undertake challenges to improve your surroundings and share your initiative with the community - we’ll show it in the app to encourage others to follow your example. Thank you for being part of the global movement to make the world a better place! 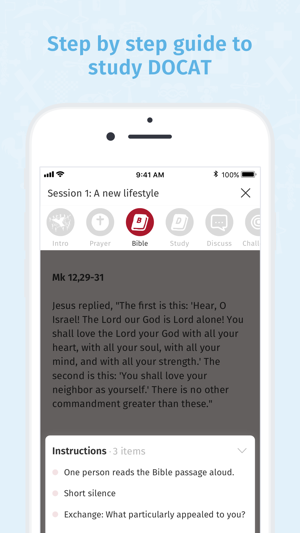 If you are looking for a answers to deal with everyday problems, this program is not it but instead this program direct your mind on the methods of god and what is needed from us to deal with morality decisions. It expand our minds and thoughts to make the right choices. For the developer I have one request : let me choose the language of the program not depended on mobile language. Ex: my mobile language is English and I want to use Arabic language for the program I'm unable todo that. I have heard that the social doctrine of the church is the best keep secret of our church. Many people are not aware of it. Great gift from WYD in DC 2016.